Would I Really Marry My Cat?! Life as a Christ-follower is not always a "charmed life". It is a strategically-designed, intentionally-lived testimony of God's trustworthiness regardless of one's circumstances. A series of stories, reflections, and prayers Would I Really Marry My Cat?! will encourage, challenge, and inspire you to find joy-filled confidence in the God who created you and the life He has given you, even when it looks nothing like the life of your dreams. A passionate, creative, and compelling communicator, K.D. Stewart brings world-class theological training (Master of Theology, Dallas Theological Seminary, 2011) and some thirty years of storytelling experience to her teaching of God's Word. Her first career was in television news, where she spent fourteen years as a reporter and anchor in various television markets, including Atlanta, GA (9th largest market in the U.S.). In her second career as a communications specialist, K.D. developed and excecuted successful public relations and media campaigns for some of America’s most prominent Christian causes, organizations, and leaders, including Franklin Graham’s Samaritan’s Purse, The Billy Graham Evangelistic Association, Operation Christmas Child, Women of Faith, and Promise Keepers. Today, the Lord is weaving K.D. 's journalistic experience, communications skills, and theological training together to teach God's Word and serve as President of Deep End Ministries, a teaching and discipleship non-profit committed to helping thinking Christians move beyond the basics of the faith into a never-ending odyssey of God’s Character and Truth. 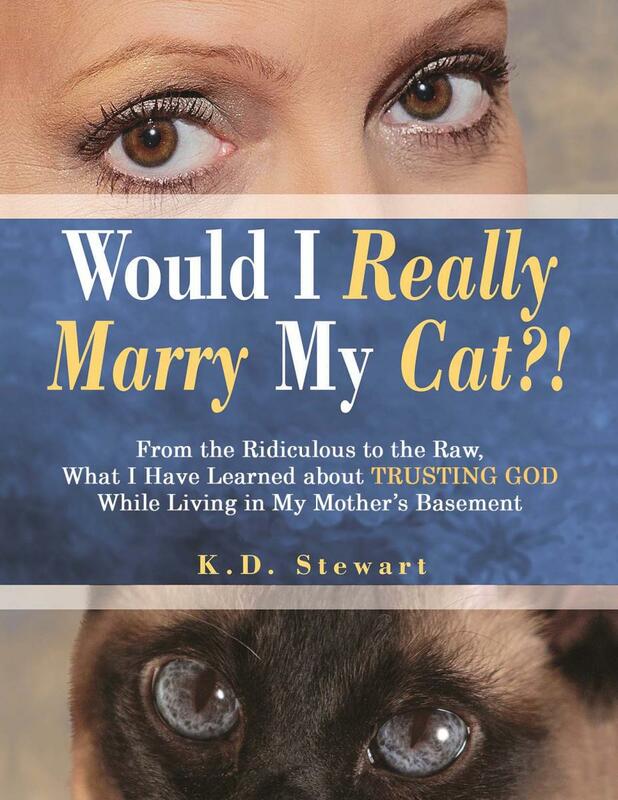 She is also author of Would I Really Marry My Cat?! (WestBow Press, 2017), a raw and sometimes ridiculous exploration of faith that leads to a simple yet profound truth: Life as a Christ-follower is not always a “charmed” life. It is a strategically designed, intentionally lived testimony of God’s trustworthiness no matter one’s circumstances. K.D. also authors The Deep End blog.